Suffering from mental exhaustion, a fictional Walt Disney – rendered as a querulous bird, got up in the garb of a Midwestern farmer – checks into the Von Spatz Rehab Center, a mildly hippie-ish Magic Mountain for anxious artists. In modest, wryly humourous vignettes, German cartoonist Anna Haifisch tracks Disney’s convalescence, reflecting on the self-doubts that assail the artistic temperament. In sun-fried, David Hockney hues, Haifisch stages a scene that captures how Walt’s depression detaches him from his cartoonishly overjoyed work. As the artist stares blankly from a window overlooking Disneyland’s Main Street, U.S.A., the parade quite literally passes him by. This is not necessarily a book for devotees of Disney’s squeaky-clean, anodyne Americana. 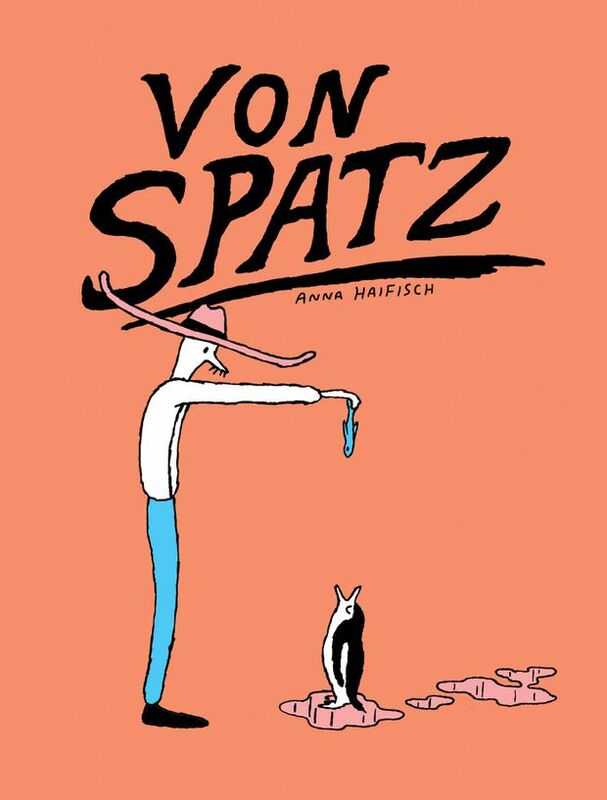 The neuroses and mellow distortions on display more closely resemble New Yorker artist Saul Steinberg’s brainy abstractions, or the macabre silliness of picture-book author Tomi Ungerer – two other patients at the Von Spatz clinic.